Thank you for visiting Garage Experts of Greater Austin. Local owners, Alan and Sondra Flores live in Round Rock, TX with their three young boys, Kyle, Tyler, and Reece. Alan and Sondra are excited to be a part of the Greater Austin community and share their passion for organization and design. Alan’s love for tools and their children’s collections of toys often cluttered their own garage, making it essential for them to find a solution that not only met their needs, but spoke to Sondra’s desire for functionality coupled with a great design. 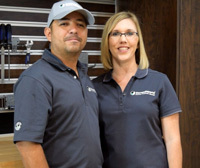 That’s how they came to know Garage Experts and is in part why Alan and Sondra have partnered together to open their own franchise. We are excited to provide industry leading garage floor coatings, custom cabinetry and other organizational products that are manufactured right here in the USA. Not to mention, our floor coating and cabinetry solutions are backed by a Lifetime Warranty! Our epoxy floor coatings are industrial strength and come in a wide variety of colors that allow you to customize your garage space to your personal style. Leave the hassle and worry behind and let us help you take back your garage! 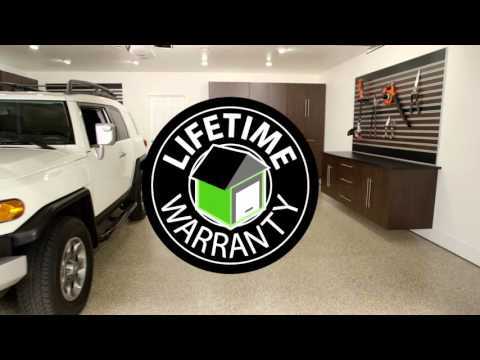 Garage Experts of Greater Austin is committed to providing quality products and professional service, backed by our Lifetime Warranty. Call us today for a free estimate and we’ll help you design a beautiful, functional and usable garage utilizing our proprietary 3D software, complete with epoxy flooring, custom cabinetry, slat-wall system, and overhead storage that will bring your ideas to life! When you choose Garage Experts of Greater Austin, rest assured your satisfaction is our number one concern. We are committed to providing exceptional customer service and quality workmanship. Call today to learn more about how Garage Experts of Greater Austin can help make your dream of an ultimate garage makeover a reality! Garage Experts of Greater Austin is currently installing garage floor coatings and custom storage solutions in and around Austin, Round Rock, Georgetown, Leander, Cedar Park, Pflugerville, and Hutto. GarageExperts of Greater Austin is your local garage makeover expert. View some of our recent work.